7lbs of our newly formulated Post Workout mix. The formula is flavored with our all natural chocolate and stevia Reb A 97 that is great tasting; especially in milk. This product is ideal for post workout because it packs a punch with nearly 50 grams of protein from our highly touted Premium Blend Protein, Micronized Creatine, and L-Glutamine. It also contains nearly 50 grams of our Carbolean to help fuel fast recoveries and ensure the most efficient absorption of the protein and amino acids. 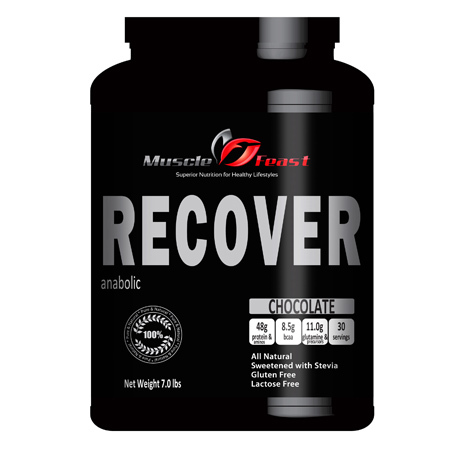 I’ve been using Recover for several months now immediately after any lengthy training run. I like the chocolate flavor best in milkshakes. All it takes is any flavor ice cream and milk for a great mix before I shower and get on with the rest of the day!